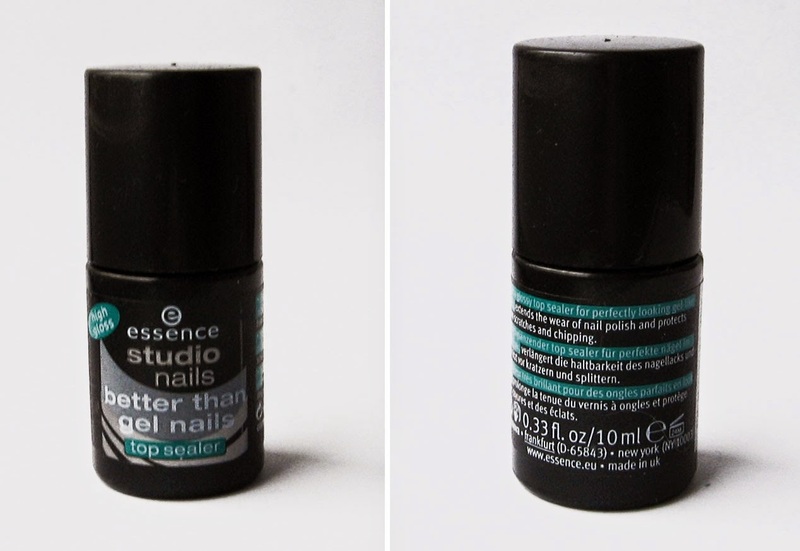 The first one I have ever tried is Essence Studio nails Better than gel nails top coat. 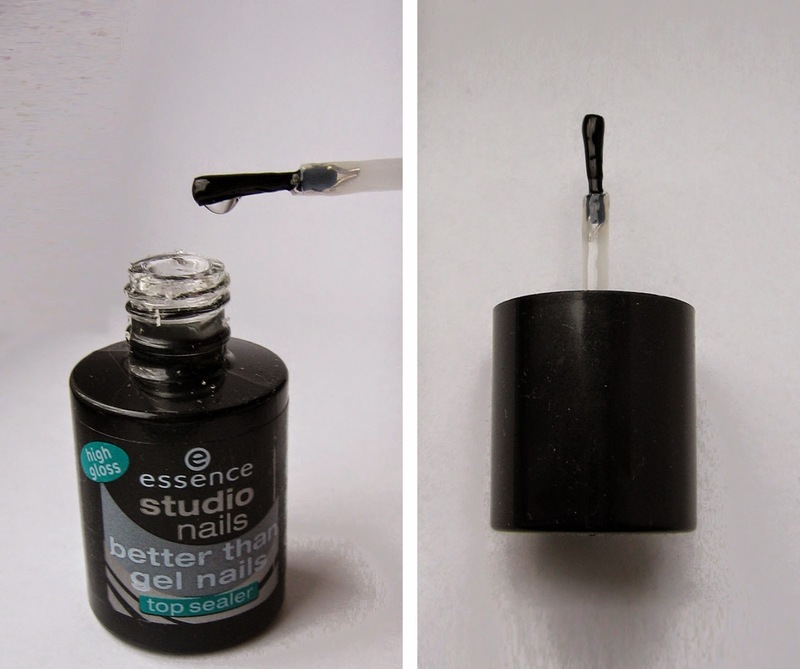 There was a period where Essence had two variation on this top coat, the high gloss and the fast dry, but now there is only one again. I think that there was no need to make two variations because both were very shiny and both dried quickly. As I said before, the consistency is thick and it is really good specially for 3D decorations. The drying time is very short and the lasting is also good (I usually apply two coats). Maybe it's slightly less shiny than the other ones but it's still good. The brush is ok, it's not so big and it's straight but the application is easy. The price is about 21.90 kn (3 €). Well if we compare the price and the performance I think is a good product. I have bought it several times. 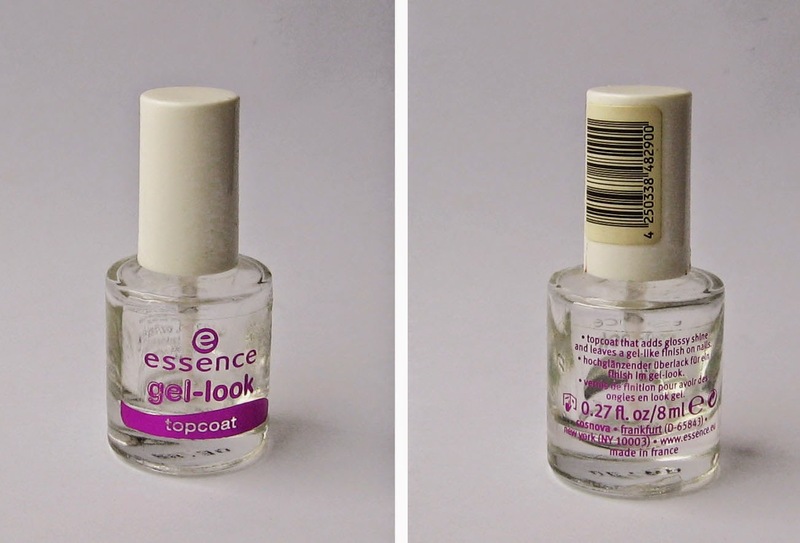 The next top coat is another from the Essence assortment and it is the Gel-look. I have bought it some months ago and I think that now you cannot find it anymore. There is another product that replaced this one and it's called XXXL volume plumping top coat (I haven't tried this one). 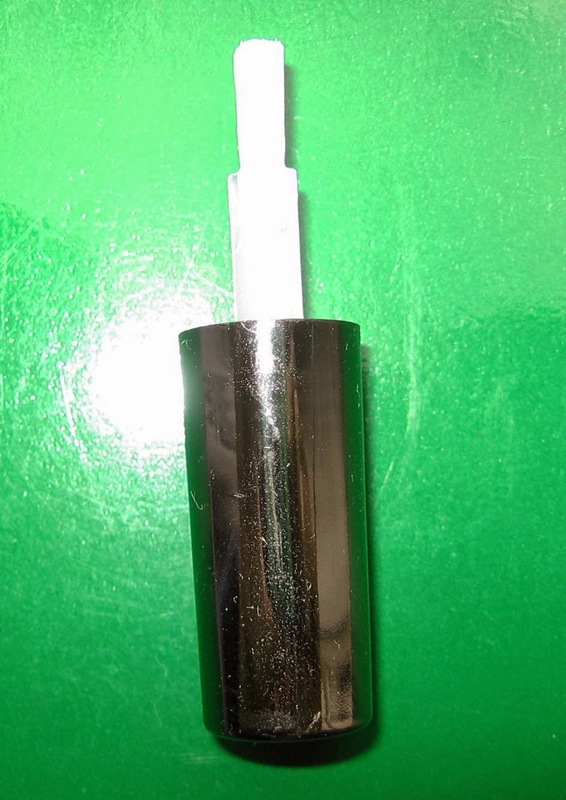 The brush is small and rectangular. It gives a nice shiny finish. But there is only one problem... a BIG problem. The drying time!!! 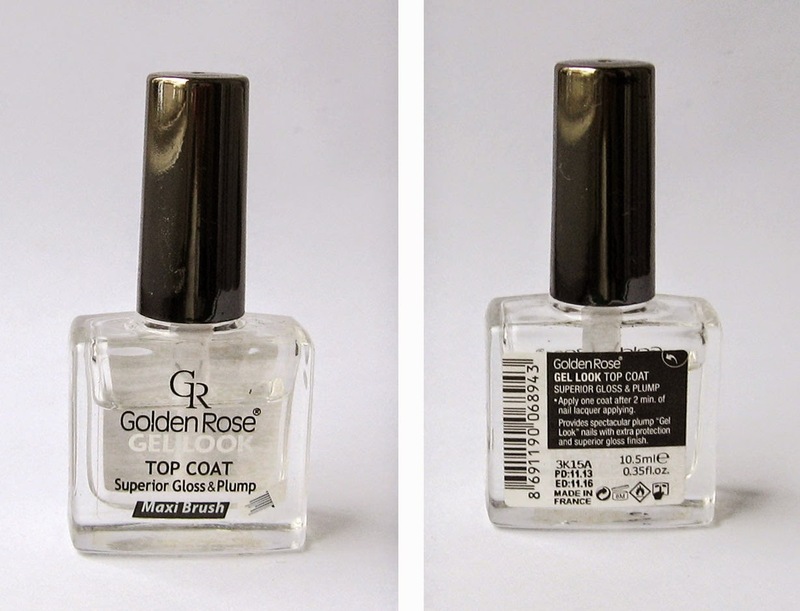 I remember perfectly the firs time I used this top coat. I had made a nail art at 2-3 PM and I thought that it will be completely dry in a few hours. But the next morning when I woke up I saw the imprints of the sheets on my nails!!! I have used it a few more times but the result as always the same. I haven't this kind of problem with neither other top coat. So I just give up on this product. The price was similar to the Better than gel nails. So what is the problem? I haven't noticed it till the day after the applying. The first day all looked great: the shine, the drying time... but the next day I noticed that the nail polish on my nail was crackled.... on all my nails!!! There were a lot of crackles starting from the tip of the nail. I don't know what happened. I didn't hit the hand or something like that. This crackles just appeared and of course this has affect the lasting of the nail polish. In the following days the crackles became deeper and the nail polish stared to chips. Another thing that I didn't like was the brush. 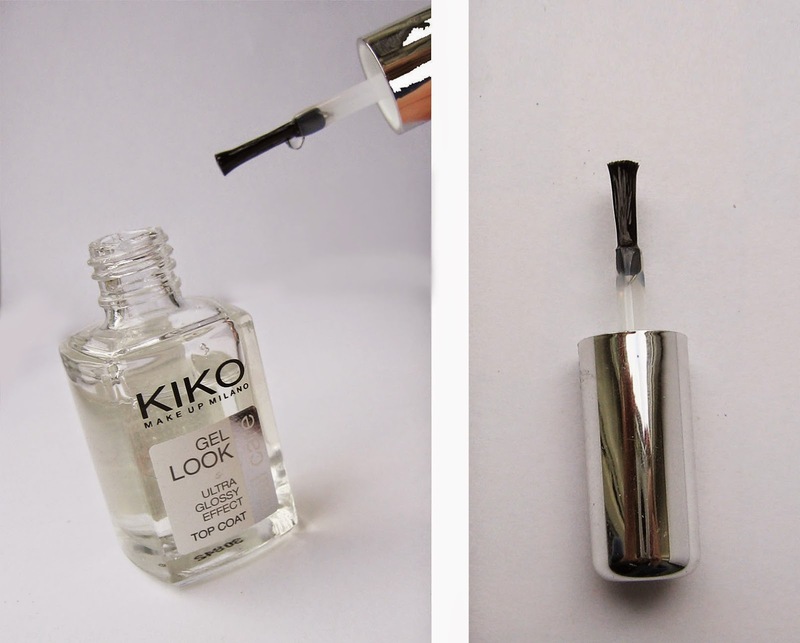 Like I have said in my previous Kiko review I hate this kind of brush.The application is not so easy like with the other top coats. So my experience with this product was not good and I don't think I will buy it again. Have you tried it too? Are your experience different? 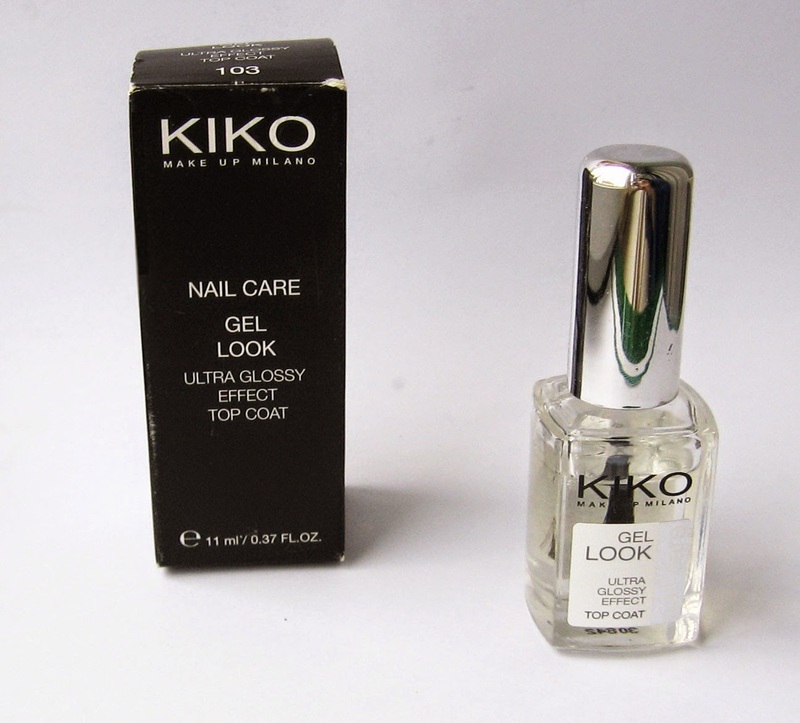 It has the same problem as the Kiko top coat. It crackles after 1-2 day of the application. So I will not spend a lot of time explaining it. The shine and the drying time are good but the problem shows up the next days. The brush is big, flat and straight. The application is good and easy and it also dries quickly. The price is about 20 kn (3 €). 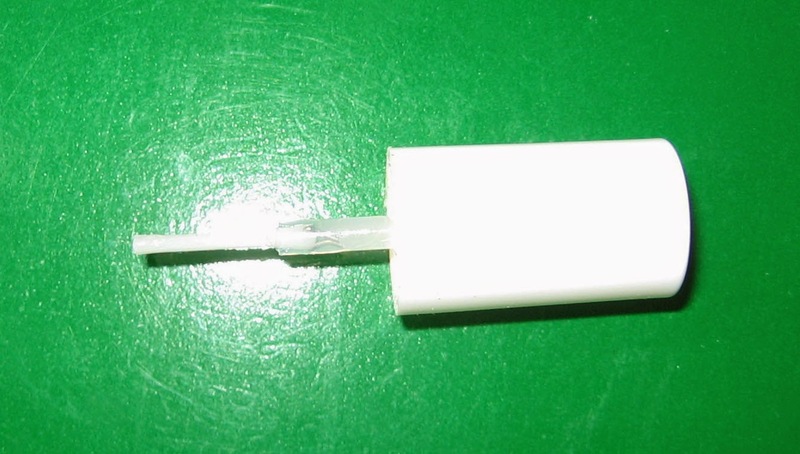 Even this one has the problem of the crackles. I don't know what is the problem with these gel top coats... Does it have the same effect on your nail too? The positive think is the brush. It's flat, big but rounded so the application was very easy. It is shiny and dries pretty fast. Maybe I will give it one more chance. I want to try it in combination with the gel nail polish also from Pupa. I heard that the effect is great. So maybe it is worth to try... but I am not so confident about the result. 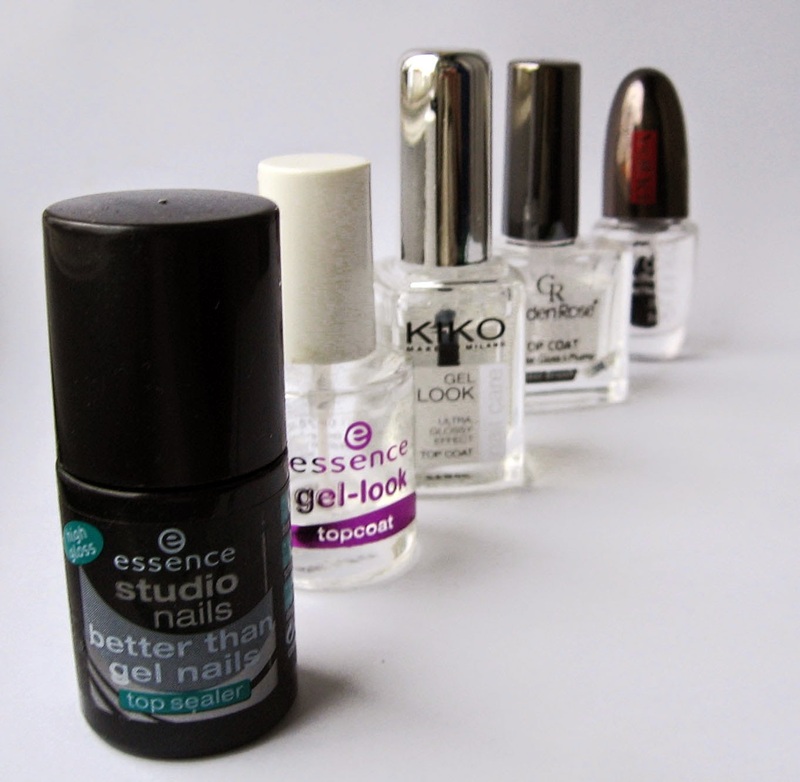 I have recently bought the new gel top coat of Essence but for this I will make a separate post in future. I need some time for test it. Have you tried this products? Did you have this kind of problems too? It was a very interesting post. Well I could suggest you only the Essence Better than gel nails... but I also heard that Eveline X-treme gel effect top coat iv very good. 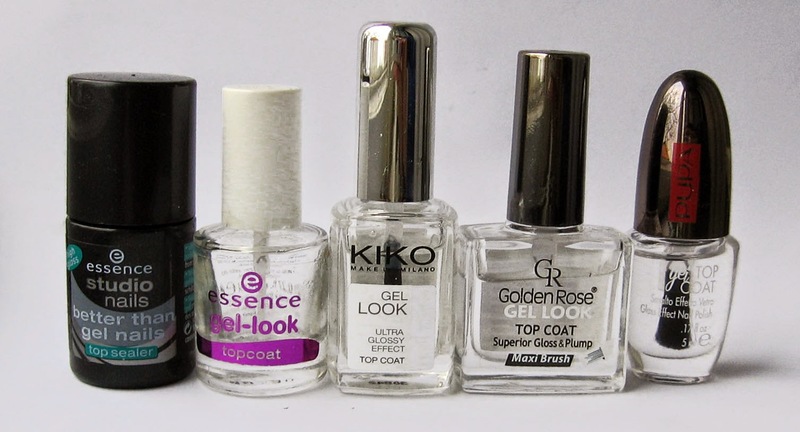 I always use a top coat. I just can leave the nails without... specially when I use acrylic paint. That second one... the drying time! Exactly! Takes forever. Must say I do use it, the first two on a stamping nail art. It tends not to smudge the design which is very important to me! I have one from Konad now and I love it. I keep using only the first of this list. Thank you, I will check you blog too! Devo riprovare quello di Essence. Al momento sto usando la versione XXXL, e funziona bene, anche per tempo di asciugatura. Upravo sam počela koristiti i ovaj novi gel top coat!